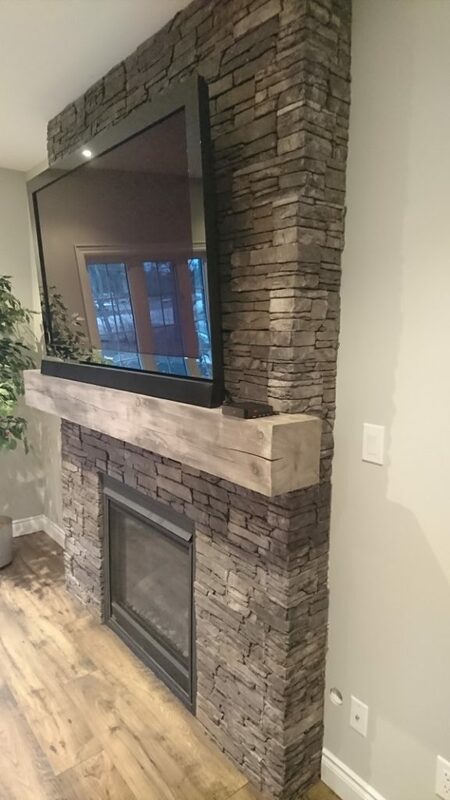 Stonecraft veneer featuring Farmledge Westchester profit on a fireplace. 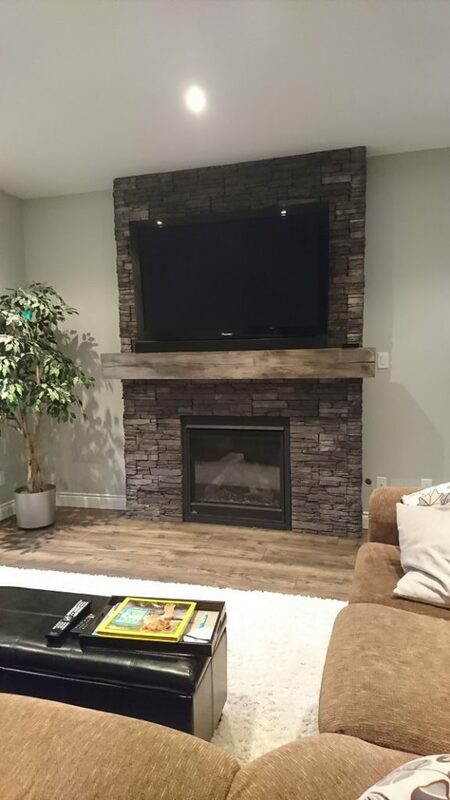 This blog will discuss a Living room fireplace which features Stonecraft stone veneer on a fireplace. The Stone craft stone was from the Farmledge collection featuring the Westchester colour. The clients liked the dry stack look and really leaned towards the irregular stone shapes. This product comes in panels that are approximately 4 1/2 inches in height and approximately 8 inches to 20 inches in length. The Farmledge pattern mimics the look of the stacked stone fences found in New England and New York. Side view of farmledge Westchester stone veneer by Stonecraft on a fireplace. Front view of Farmledge Westchester stone veneer by Stonecraft surrounding a gas fireplace. The fireplace also features a TV mounted directly to the fireplace above a rustic beam. The beam nicely ties in the hardwood floor and adds some traditional warmth to the overall look. 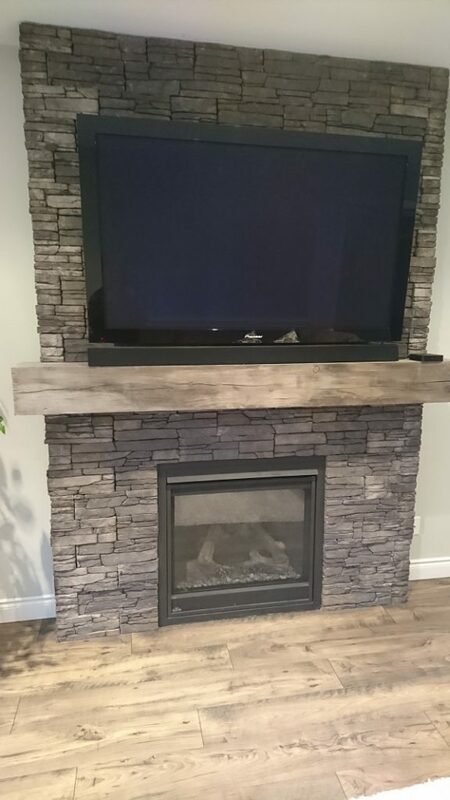 Gas fireplace with TV mounted above beam. Stone veneer is Farmledge Westchester by Stonecraft. 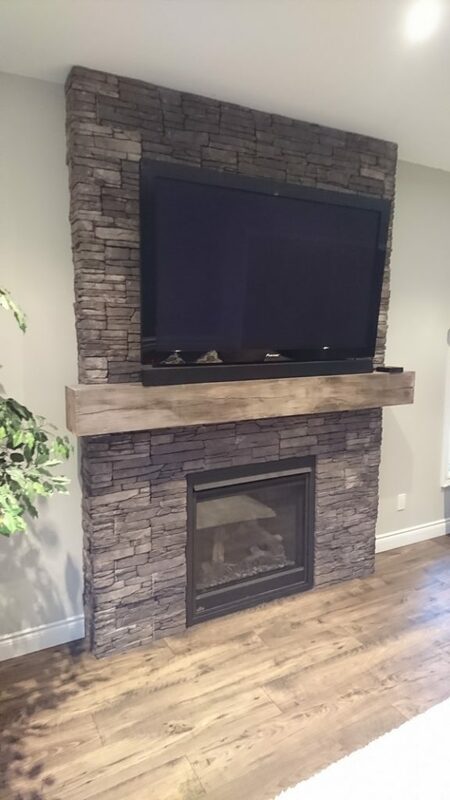 TV mounted on a stone veneer fireplace in a living room. 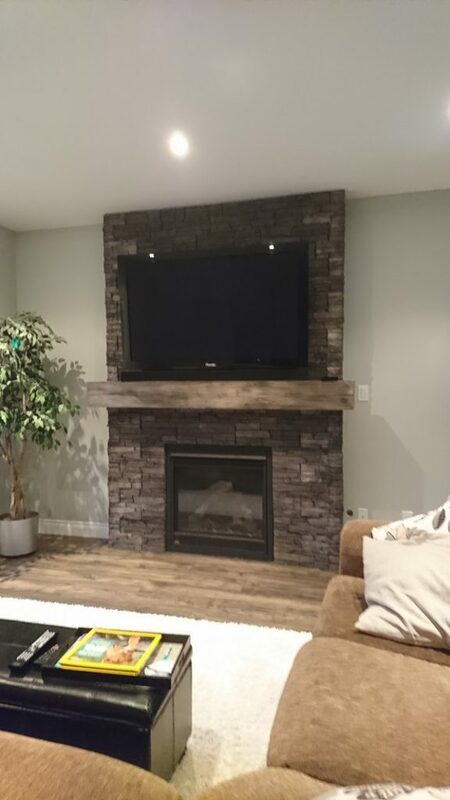 Adding stone veneer to a fireplace creates an impressive look at a very reasonable cost. With all the varieties of stone textures and colours it is easy to find the right look for your next home renovation project. Call or email for a free no obligation quote and we would be happy to help plan your next stone project.